So, you’re in need of wire rope? The good news is, you’re in the right place. Ropes Direct is one of the UK’s leading suppliers of steel wire rope and – with a comprehensive range of products to choose from – we’re bound to have something to suit you and your individual needs. All of our steel ropesare suitable for both domestic and commercial applications. They are most commonly used for cabling, catenary systems, railings, fencing, and rigging. But they can also sometimes be seen hanging in shop displays or are used in the home as a washing line etc. The type you require will depend on the intended application of the rope and your available budget. 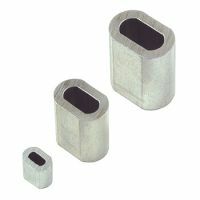 We also currently stock a selection of aluminium ferrules, wire rope grips and duplex grips for crimping your new steel wire rope. Why shop with us for steel wire rope? Quality products are at the heart of everything we do, here at Ropes Direct. 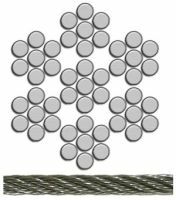 Whichever steel wire rope you choose, you can rest assured, it has been manufactured to the highest possible standard – and will provide the strength and flexibility you will need for a diverse range of applications. As an exclusive online seller, we’re able to save a great deal on our overheads. But we don’t keep these great savings for ourselves. We share them with you, our valued customer! 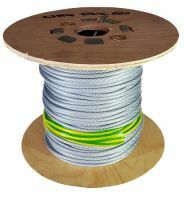 This is why all our wire ropes are available at a highly competitive price. We also offer a very quick turnaround, with next working day delivery for commercial customers and 1-2 day delivery for individuals. Ultimately, our goal is to provide you with the best possible steel wire rope, at the best price, and as quickly as we can. Our team of experts have a significant level of experience in the rope industry and they will do everything in their power to help select the right wire rope for you and your needs. So why not browse the full collection today and, if you have any questions, feel free to get in touch. Either give us a call on 01692 671721 or send an email to info@ropesdirect.co.uk.